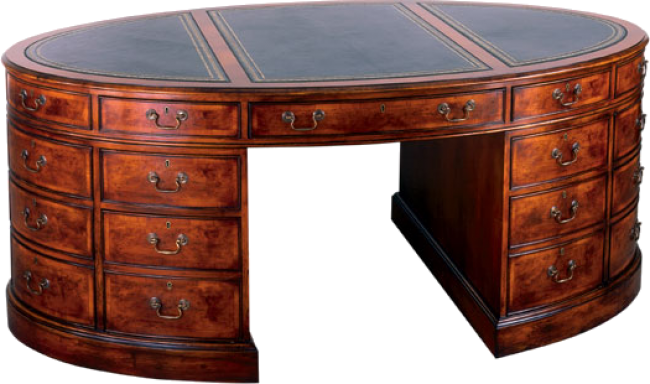 Stunning oval shaped Sheraton style executive Partner's desk. Work side consists of four box drawers, two file drawers and a center drawer with fitted pencil tray. The approach side consists of two box drawers, a center drawer, and two cabinet doors with adjustable shelves. All drawers and doors lock. Solid antique brass hardware. Available with wood or leather writing surface. Pictured in Yewwood.